Although it’s still 95 degrees outside where I live, fall has already kicked off and my favorite holiday of the year, Halloween, is hot on its heels. I have to admit I love all things pumpkin, witches, Frankenstein and everything ghostly and ghoulie out there. 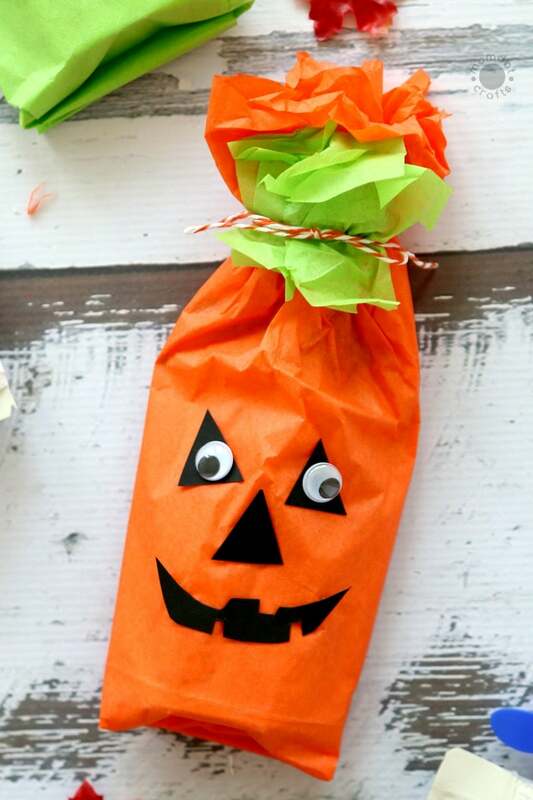 From the dressing up to the decorating, I get started super early when it comes to the fun, and I wanted to give you a great idea for a no-candy treat solution that’s perfect for classrooms and passing out to this year’s Trick-Or-Treaters. 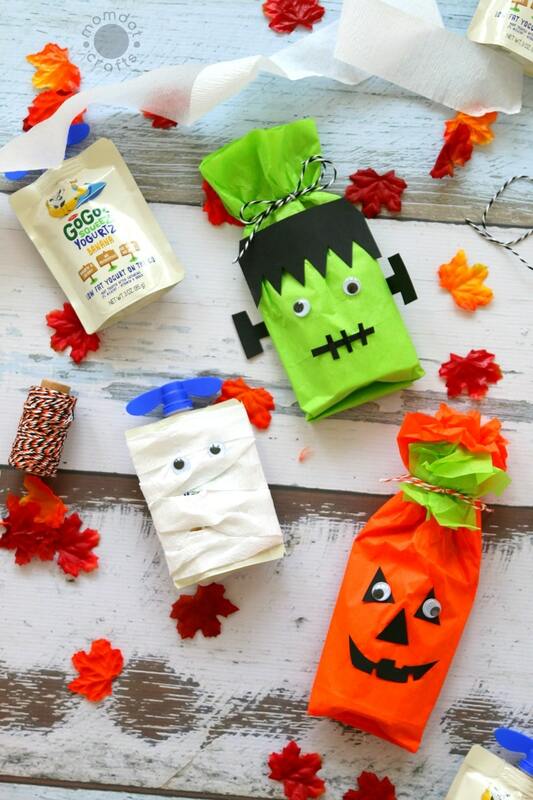 Create a Frankenstein, Pumpkin and Mummy with this No-candy and Healthy Halloween Alternative – A great treat to share with the classroom or evening Trick-Or-Treaters! 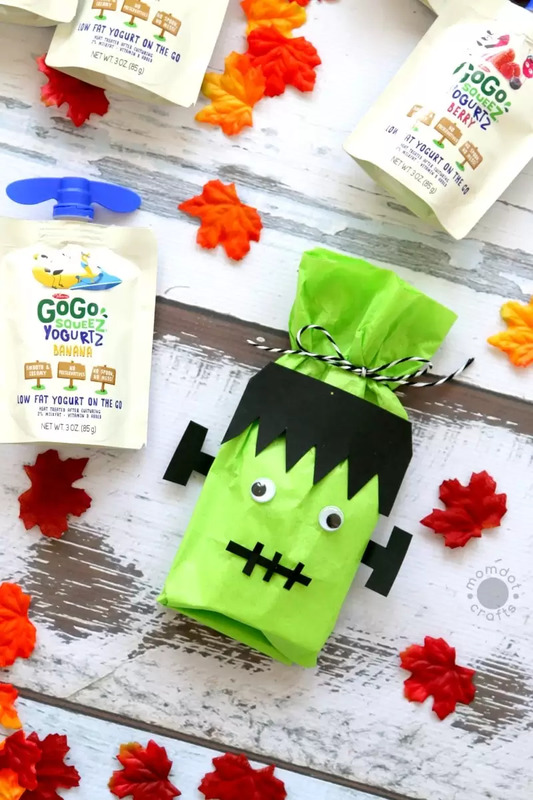 This article is in partnership with GoGosqueeZ and MomDot. To get started you will first need to gather up your favorite GoGo squeeZ YogurtZ flavors. If you remember from the Frozen Yogurt Breakfast Bites recipe, GoGo squeeZ YogurtZ is a brand new real yogurt and fruit snack in strawberry, banana, and berry flavors that requires no refrigeration, making it perfect for your holiday treat giving. It’s “so, cool it doesn’t have to be cold,” so it can easily stay stashed in Trick-Or-Treaters’ goodie bags well after Halloween. For a no-candy alternative to be a success, it must taste good. Don’t worry – GoGo squeeZ YogurtZ has you covered. 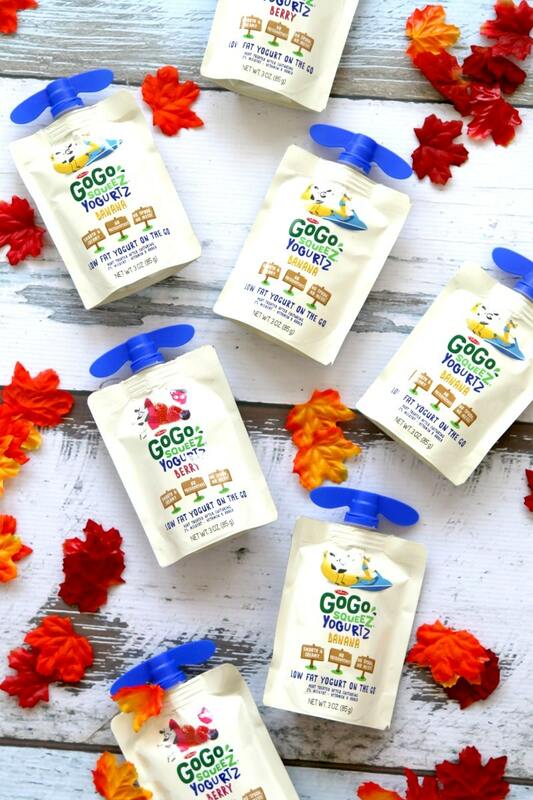 Kids love the three scrumptious flavors and they’re even fun to eat in the iconic on-the-go pouch. This no-candy alternative is sure to be a hit! 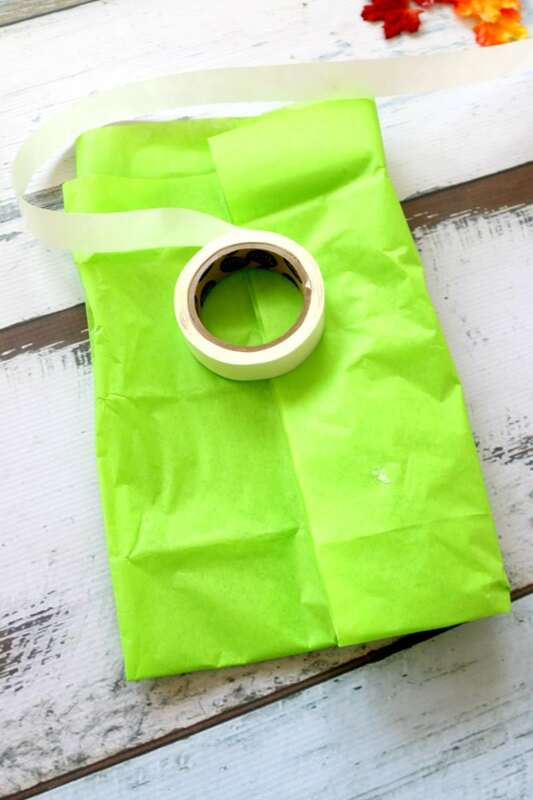 Take one piece of green tissue paper and fold it in half. This allows for the words to not show through as much as possible, creating a more streamlined look. 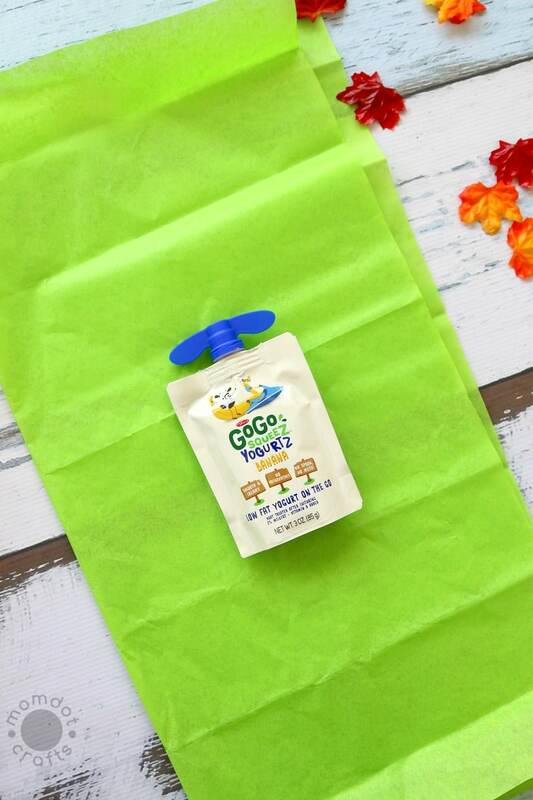 Lay your GoGo squeeZ YogurtZ pouch onto the tissue paper and fold up and side to side, securing with a glue dot. Tie off the top in a little bow to secure. 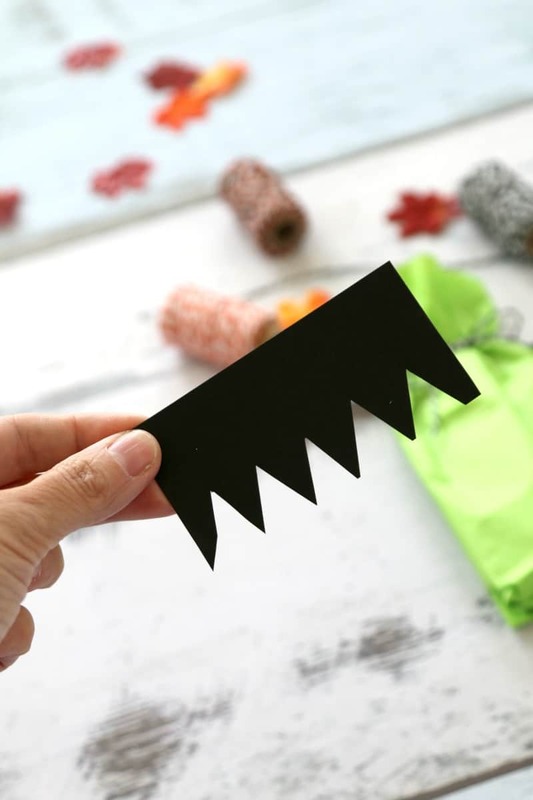 Using your black construction paper, cut out hair, bolts, and a mouth. Add on googly eyes and you’re done! You can also draw on the eyes with a black sharpie if you want a quicker craft. 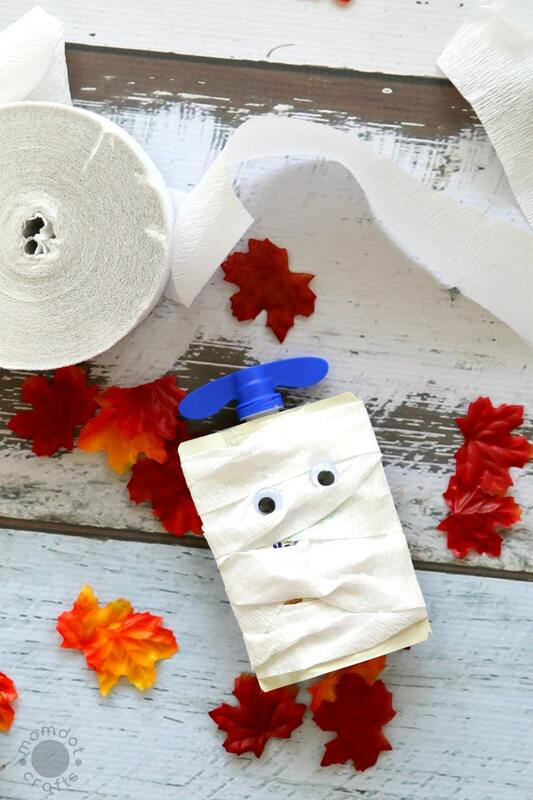 A mummy is so easy to make! Secure a piece of crepe paper on the back of the GoGo squeeZ YogurtZ pouch and wrap around a few times until you create the look you want. A pumpkin is a true Halloween classic! Another easy craft, take one piece of orange tissue paper, fold in half, side to side and secure with a glue dot. Tie the top with a bow to prevent the GoGo squeeZ YogurtZ pouch from falling out. Add on the eyes, mouth, and nose with black construction paper. Remember that Halloween is so fun for kids and they love the extra bit in their pumpkin baskets! Finding non-candy treats were the highlight of hitting my neighborhood as a kid and the parents really appreciate it too. Keeping the sugar rush to a null and infusing with some creativity can make Halloween a total win-win for everyone!